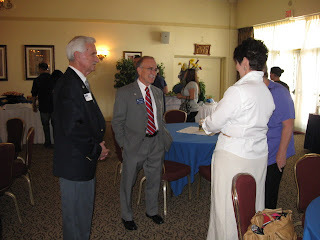 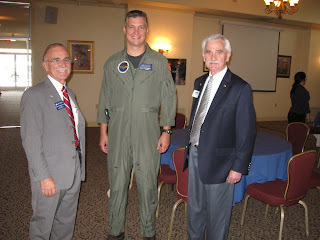 From left to right: Dr. Gerald Brouder, president, Columbia College; Capt. 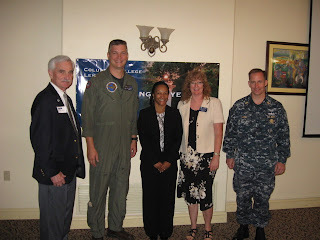 Eric Venema, commanding officer, Naval Air Station Lemoore; Cynthia Moon, director, Navy College Office, Naval Air Station Lemoore; Betsy Quade, director, Columbia College–Lemoore; Matt Laing, command master chief, Naval Air Station Lemoore. 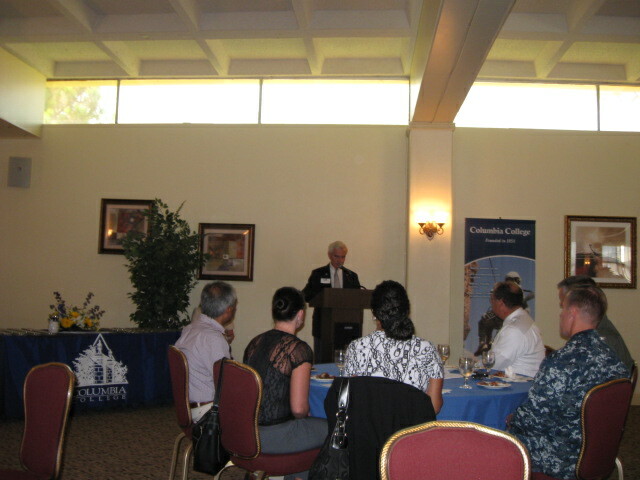 Columbia College–Lemoore celebrated 10 years of educational excellence on Aug. 26 at The Oasis Club, NAS Lemoore, Calif.
Brouder and Mike Randerson, vice president for Adult Higher Education for Columbia College, visit with guests. Brouder gives remarks at the celebration.